Media registration is subject to review and must meet requirements set forth in the media guidelines. A history of being registered at previous Space Foundation events does not guarantee approval or waive the accreditation requirement. 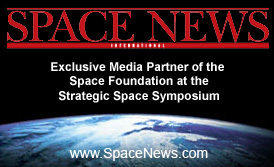 The Space Foundation reserves the right to deny, refuse, or revoke media badges during pre-registration as well as onsite. All requests will be reviewed on a case-by-case basis.